To be opened by Dr Demelza Hall, Lecturer, Literature and Film, Faculty of Education & Arts, Federation University on Thu 1 Oct @ 5.30, for 6pm. All welcome! Wendy Bolger's art-making continues to engage through the notion of the frame, seeking a deeper appreciation of the landscape as a cultural construct. 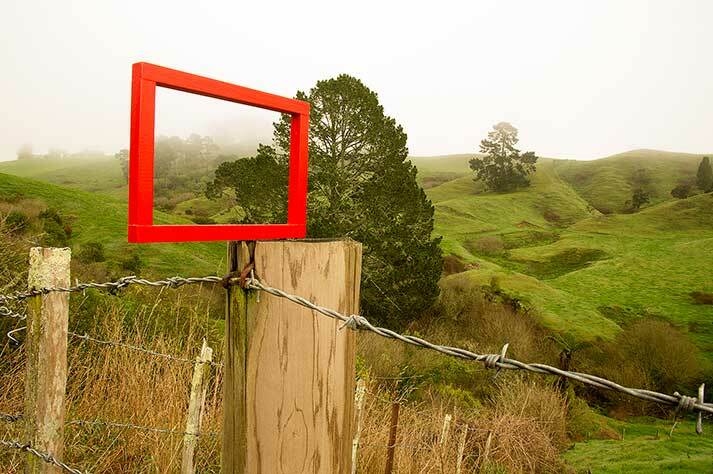 Focusing on the act of 'framing', both physically and metaphorically, Bolger identifies the societal means by which we determine a sense of place and belonging and how 'the boundary fence', as it marks ones' territory, is recognised as a cultural framing of the land. Moreover, continuing Bolger's passion as a 'frame maker' and her experiences journeying along the fence lines of the Waikato district, New Zealand and the Latrobe Valley and Central Highlands, Victoria, her work visually records and reimagines the landscape, resulting in a reflective response to our relationship with the land whether inside or outside the fence or the frame.